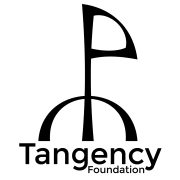 The Tangency Foundation is a nonprofit environmental education which focuses on education and conservation. Our goal is to provide a platform for conservation which provides social, economic, and pluralistic value for participants through activism activities. We aim to engage the public in novel ways to educate them about the impacts of climate change, indigenous advocacy issues, and STEM education. We started out as an impromptu clean-up crew for plastics on Miami beaches, and slowly grew to include educational presentations in our assortment of activities. We are currently developing an open-access STEM education curriculum for use in low-income school districts. We offer assistance in setting up home-gardens and aquariums alongside educational resources on the STEM principles involved in maintaining them.